Errik Anderson of Biomatics Capital Partners. He’s helped found at least seven biotech companies. This year he co-founded the New England Free Jacks, Boston’s first professional rugby team. Now Errik Anderson, a 40-year-old Hanover, N.H., entrepreneur, will become a venture partner in Biomatics Capital Partners. 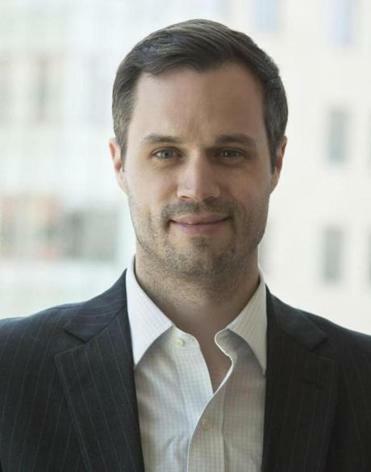 The Seattle-based health care and life sciences venture firm is turning to him because it wants to nurture more emerging companies. Anderson’s appointment was expected to be disclosed Thursday as Biomatics announces that it has raised another $300 million to support new firms. Biomatics had previously raised $200 million for its first fund. The money was invested in more than a dozen companies, including South San Francisco-based Denali Therapeutics. Anderson, the founder and managing partner of Ulysses Diversified Holdings, knows biotech companies well. He co-founded biotechs like Compass Therapeutics of Cambridge, Adimab of Lebanon, N.H., and Alector, also of South San Francisco. A one-time rugby player at Dartmouth College, where he earned his undergraduate degree and a master’s in business administration, Anderson recently co-founded the Free Jacks, a team in Major League Rugby. Biomatics already has an office with an investment associate at the Cambridge Innovation Center, and Anderson said he was eager to join her. Biomatics is passionate about “supporting entrepreneurs, and that’s what I already do,” he said.